From an early age, Steve planned his career path to include the design and technical skills that enable him to deliver outstanding buildings that create lasting value for our clients and the communities they serve. 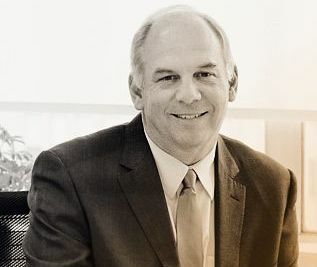 Prior to joining our office in 1981, Steve focused on understanding the issues driving design decisions in land development, as well as mechanical and electrical engineering offices. Since then, Steve continues to grow the knowledge and experience at architects Tillmann Ruth Robinson that helps our firm make informed decisions in a timely manner. His passion and purpose is the journey of discovery he shares with each client – a search for what will make their world better. Steve counts on not only our staff, but also our clients to contribute their personal observations and ideas to a project team. In helping teams think issues through, he offers options and places ideas in context in a way that reveals meaningful design opportunities and answers to technical challenges. Many of Steve’s projects build on long-term relationships he has developed with our clients. Fanshawe College, Niagara College, St. Joseph’s Healthcare London, Huron Perth Healthcare Alliance and Stratford General Hospital continue to look to Steve for his project and people management abilities. Current work includes the new London and St. Thomas Regional Mental Health Care Centres for St. Joseph’s Health Care London and the new Elgin St. Thomas Public Health Unit building in St. Thomas.